Recently I discovered Picnik, a free web-based application that lets you do cool things with pictures, without using PhotoShop. I found a Flickr group calle Picnikers and joined. Each week a "homework assignment" is posted. 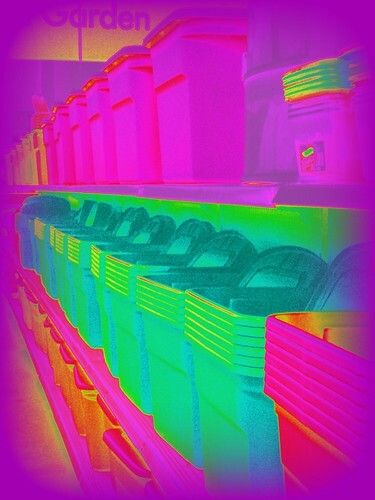 You have to take a picture of a subject relevant to the assignment, enhance it using Picnik and then post it in a comment under the homework thread. These pictures were taken for the assignment titled "Shopping". I decided I could kill two birds with one stone by heading to WalMart early Saturday morning to take a few pictures and get my grocery shopping done. 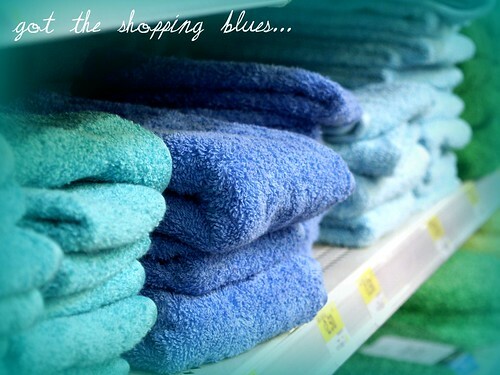 The shelves of merchandise suddenly looked quite different when viewed from a subject matter point of view. 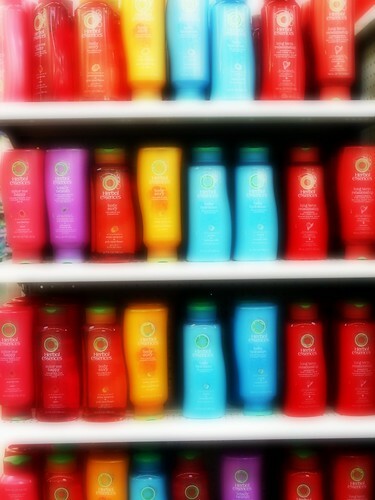 I photographed bath towels in a rainbow of colors, an Herbal Essence end cap, and Sterilite tubs all in a row. 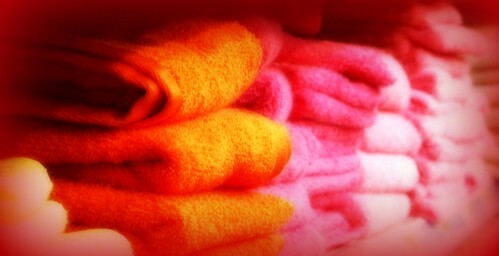 A long-time employee insisted on tidying the shelves of towels before I took pictures. So often WalMart is considered a dirty topic. But these pictures prove that beauty is truly in the eye of the beholder.